You can add and review cases. You can add multiple cases by clicking on add case button and assign them to single or multiple members of the team. You also have an option to hide some specific comments from the customer and also you can give priorities to that cases where only the assigned or any of your team member could view it; So that everyone could know the requirement. You can filter the cases to single team member / all the cases assigned to anyone and for a past (cases that are due) / anytime. To add a comment to a case by simply typing your text in the text box available and clicking on the Add this comment button. You can also attach Files to your comment. Here you can also discuss about the requirement and re-view the comments whenever and wherever you are. Finding a project management tool is important for managing a business, and small business owners understand it better than no one. Managing various business management processes and then dedicating time in project management process is quite a difficult thing indeed. To make things simpler, they need robust as well as advanced project management tool. Tools should be used for three reasons. First of all, it brings accuracy, secondly it saves time and thirdly it proves to be affordable. A lot of online project management software are there, and different tools come with different set of benefits or advantages in offering for the users. If you are searching for a simple tool with reasonable investment of money, CaseCamp can be the best option. This has been regarded as one of the best project management systems that come with a lot of benefits in offering. The tool is impressive in terms of features that it has to offer to users. 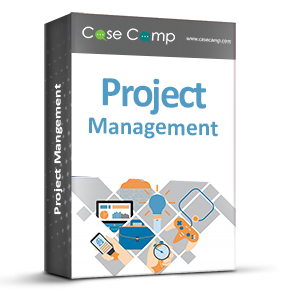 CaseCamp makes project management easier by giving option to manage unlimited number of projects at the same time. So, the tool is suitable for small as well as large scale businesses. Even the freelancers can use this tool. You can add multiple projects, and set different project goals. It gives calendar and to-do-list for the project managers. You can track project progress at anytime and can change project goals or update project instructions for the employees who are working on those projects. It acts as the centralized hub for managing all projects and bridges a connection between senior managers and employees. Projects files can be uploaded by the employees so that project managers can check real time project progress. With CaseCamp, you have limited chances of facing deadline related hassles. As you can easily track projects, you can judge the project completion rate as well as expected dates for finishing projects. This helps you to manage tasks according to deadline. Moreover, it helps you to make optimum use of the resources. When a certain group of employees finishes a particular project, they can be deployed to work on another existing project.